Dr Karen Middleton was appointed as Chief Health Professions Officer for England on the NHS Commissioning Board in March 2013. She is also the Chief Health Professions Officer for England at the Department of Health, a position she has held since March 2007, and is the government's most senior Allied Health Professions (AHP) advisor, providing advice on all aspects of the 12 professions within this group. As the Chief Health Professions Officer she has raised the profile of the contribution that AHPs make towards transforming health and social care through a range of initiatives. Prior to taking up her current post, Dr Middleton was Health Professions Advisor at the same department, responsible for children and primary care. 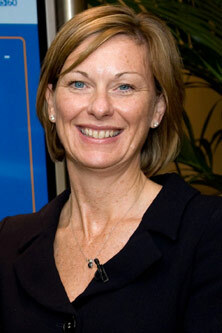 Dr Middleton started her career as a Chartered Physiotherapist in 1985, specialising in musculoskeletal therapy. She became a Fellow of the Society of Orthopaedic Medicine in 1994 and has taught at both undergraduate and postgraduate levels in Orthopaedic Medicine and Hydrotherapy. Later, Dr Middleton held a range of management roles in the NHS across the allied health professions, nursing and support services. Dr Middleton was awarded a Master's degree in Consultation and the Organisation: A psychoanalytic approach as well as the European Leadership Programme by INSEAD, France.